Diets are all over the news and gossip rags. Millions of dollars are made on diet products every year. But diets for children aren’t as widely discussed, despite the growing problem of children’s obesity. Perhaps because so many of us associate the word “diet” with “fad,” and likely because so many of us are concerned about our children having a negative body image. It’s time to get real about kids’ diets, and consider how being the force behind healthy eating in your child’s life is one of the most valuable contributions you can make to your child’s life-long health. So, where to begin? Here are five of the best diet plans for kids. Portion control is an excellent way to approach dieting for children. During early years of development, it is crucial for children to get an appropriate amount of nutrients by eating foods from every food group. Trying to cut out whole portions of the food pyramid usually means that your child isn’t getting something their body needs. And, let’s face it, you can’t be there all the time. At school, at friends’ homes, your child will be exposed to a number of high-sugar and/or high-fat snacks. 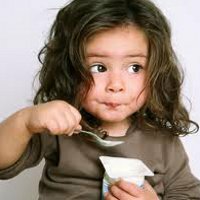 But if your child knows when to stop, he or she will be able to display this healthy eating habit whenever confronted with food. The stomach actually shrinks when food intake decreases. Your child will feel naturally full when they’ve had enough to eat, provided that they are consistently eating smaller portions. It’s okay for your kid to have a few sweets here or there, but help them learn when to stop. Studies have shown that children respond well to diets that cause their blood sugar levels to remain relatively constant. Foods with low glycemic indexes help prevent blood sugar levels from spiking and dipping. Low-glycemic foods include fruit, non-starchy vegetables, whole grains, poultry, and fish. This diet allows for a lot of mainstream types of food, so it’s not difficult for parents to accommodate and follow, as well. The low-carb diet can be tricky for kids, because they will run into carbs everywhere (if not at home). The good thing about a low-carb diet, however, is that weight loss occurs rapidly at the start, and protein gives your kids good fuel for their lives. Plus, fewer carbs means they can avoid that post-carbohydrate crash. Kids do need carbs, so it’s important that if you opt for a high-protein diet, your child still gets an adequate (though slimmed down) portion of carbohydrates. For many parents, breakfast is one of the few meals in their child’s busy day that they can control. Be sure that your child has a healthy breakfast each day. Eating breakfast jump-starts the metabolism, so that your child is burning calories bright and early. When they eat a good breakfast at home (oatmeal, eggs, fresh fruit, non-sugary cereals), they are less likely to indulge in fatty foods (like doughnuts and pastries) that may be available to them at school. Children drink a lot of sugar. From juice to soda pop, kids are sucking down lots and lots of sugar in their daily lives. Doing something as simple as eliminating sugar-packed drinks from the home can help your child cut out a significant amount of calories each day. Drinking more water with meals also helps children feel full without consuming as many calories. It’s important to supplement water intake with milk, to promote calcium consumption. If you can get in the habit of keeping skim or 2% milk in the house, this is also a much better choice for your children. Keep fruit juice for a special treat, and be sure to choose all-natural brands without artificial additives and extra grams of sugar. With every diet listed above, there’s one vital companion—exercise. Ensure that your child performs some kind of physical activity every day—even if only for 30 minutes. Insisting on exercise before television or video games (or even homework, as the case may be) might just be the healthiest less you can teach your kid. Teaching children healthy habits for life is crucial for their long-term well-being. If you’re still not sure what diet plan will be most effective for your child, talk to your doctor about how to incorporate healthy eating into your child’s lifestyle.